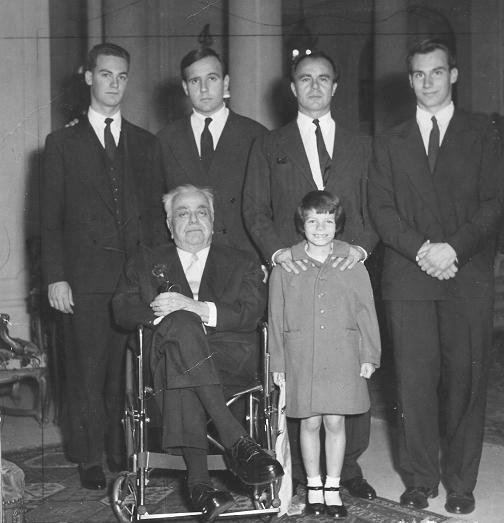 A Portrait of the Aga Khan Family of the mid 20th century: Next to the late 48th Ismaili Imam, Aga Khan III, is his grand daughter, Princess Yasmin. 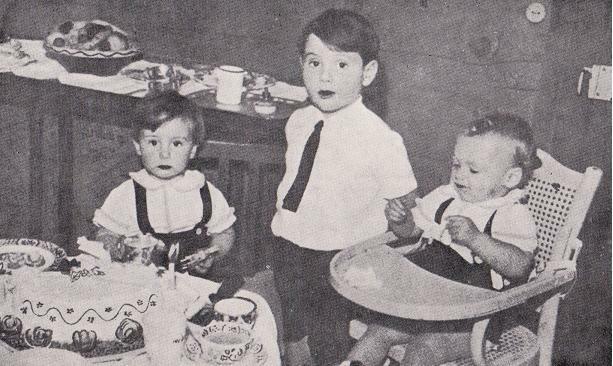 Standing from left to right - grandson Prince Amyn Muhammad, his two sons the late Prince Sadruddin and Prince Aly Khan holding daughter, and second grandson Prince Karim, the present Imam. Photo: Zul Khoja Collection, Ottawa. 1. Bahrain 2. Canada 3. Comoros 4. Côte d’Ivoire 5. Egypt 6. England 7. France 8. Germany 9. Iran 10. Italy 11. Kazakhstan 12. Kenya 13. Kyrgyzstan 14. Lebanon 15. Mali 16. Malagasy Republic 17. Mauritania 18. Morocco 19. Ireland 20. Pakistan 21. Portugal 23. Scotland 24. Senegal 25. Spain 26. Sweden 27. Tajikistan 28. Tanzania 29. Upper Volta 30. United Kingdom 31. United States of America 32. Uzbekistan 33. Wales 34. Zanzibar (now part of Tanzania). July 12, 1957: His Highness the Aga Khan pictured with the Ismaili leadership from around the world at Villa Barakat in Geneva after they had paid their allegiance to him. 2. His Highness, by Her Majesty Queen Elizabeth II of England (1957-07-26), two weeks after becoming 49th Imam. 3. His Royal Highness, by His Imperial Majesty Shahin-Shah of Iran of Iran (1959-10). 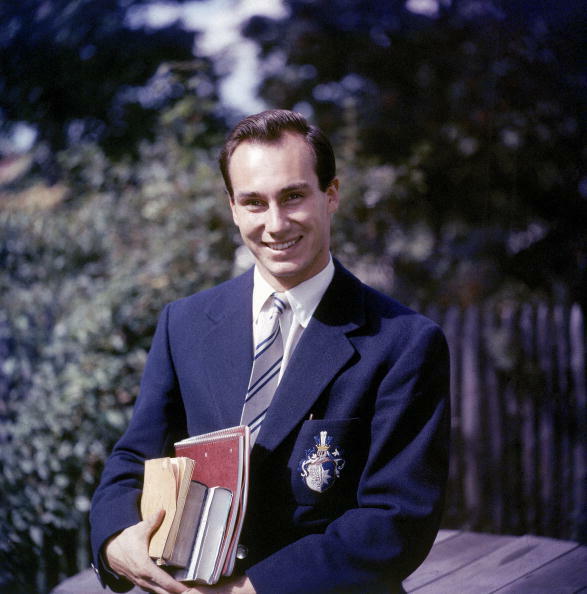 His Highness the Aga Khan graduated from Harvard University in 1959 with a BA Honours in Islamic History. In this portrait photo taken in 1958 on the Harvard campus, he is seen in a Harvard University blazer carrying an armful of books. Copyright: Photo by Hank Walker/Time & Life Pictures/Getty Images. 1. Brilliant Star of Zanzibar, by the Sultan of Zanzibar (1957-08-12). 2. 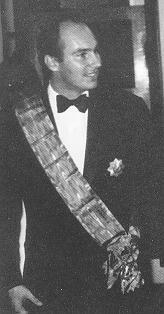 Commander of the Order of Merit, Mauritania (1960). 3. Grand Cross of the Order of Infante D. Henrique, Portugal (1960-10-27). 4. Grand Cross of the National Order, Côte d’Ivoire (1965-08-04). 5. Grand Cross of the National Order, Upper Volta (1965-08-05). 6. Grand Cross of the National Order, by President Philibert Tsiranana of the Malagasy Republic (1966-11-15). 7. Grand Cross of the Order of the Green Crescent, by President Syed Mohammed Sheikh of the Comoros (1966-11-20). 8. 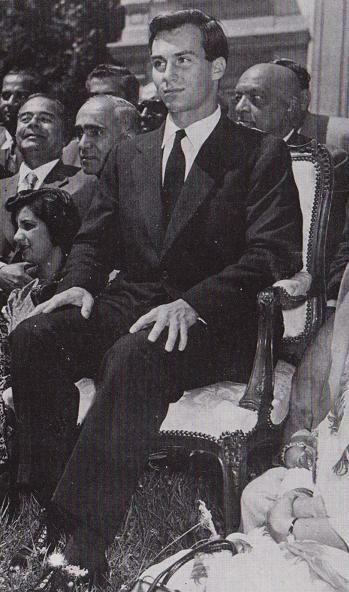 Grand Cordon of the Order of the Crown of Iran, Nishan-i-Taj-i-Iran (1967). 9. Nishan-i-Imtiaz, by President Yahya Khan of Pakistan (1970-01). 10. 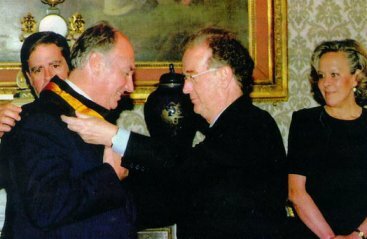 Knight Grand Cross of the Order of Merit of the Italian Republic, Gran Croce Della Republica Italiana by Prime Minister Guilio Andreotti of Italy (1977-12-08). An honor normally reserved for heads of state, in recognition of his contribution to tourism development in Italy. 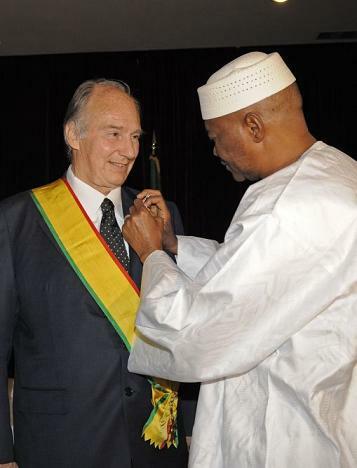 The Aga Khan is the first Muslim and one of the few foreigners to be so honored. 11. Grand Officer of the National Order of the Lion, Senegal (1982). 12. Nishan-e-Pakistan by President Zia-ul-Haq of Pakistan (1983-03-23). 13. Grand Cordon of Ouissam-al Arch, Le Grand Cordon de l’Ordre du Trone Cherifien by King Hassan II of Morocco (1986-11-25). 14. Knight of Labour, Cavaliere del Lavoro, by President Francesco Cossiga of Italy (1988-10-26). 15. Commander of the Legion of Honour, by President Francois Mitterrand of France (1990-11-07). It is the highest honor established by Napoleon Bonaparte in 1802. 16. Grand Cross of the Order of Civil Merit, Gran Cruz de Merito Civil, by King Juan Carlos of Spain (1991-11-22). Presentation ceremony at Zarzuela Palace in Madrid. The award, one of Spain’s most important civil decorations, was presented on the recommendation of the country’s Foreign Minister. 17. Grand Cross of the Order of Merit, by President Jorge Sampaio of Portugal (1998-07-11). 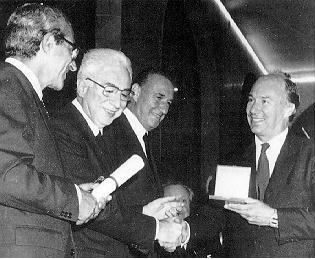 July 11, 1998: His Highness The Aga Khan being invested with the Grand Cross of the Order of Merit by President Jorge Sampaio for his "outstanding contribution to human understanding and to social and economic progress in different areas of the world." 18. Order of Friendship, by President Emomali Rakhmonov of Tajikistan (1998-09-22). 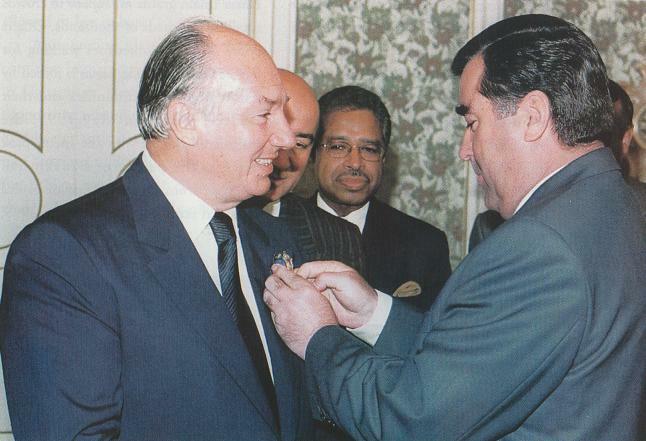 September 22, 1998, Dushanbe: His Highness the Aga Khan being bestowed with the Order of Friendship by President Emomali Rakhmonov of Tajikistan, thus becoming the first foreign recipient of the country's highest civilian honour. 19. Order of Bahrain (First Class) (2003). 20. Knight Commander of the British Empire (KBE) by Her Majesty Queen Elizabeth II of England (2003-12-31). 21. 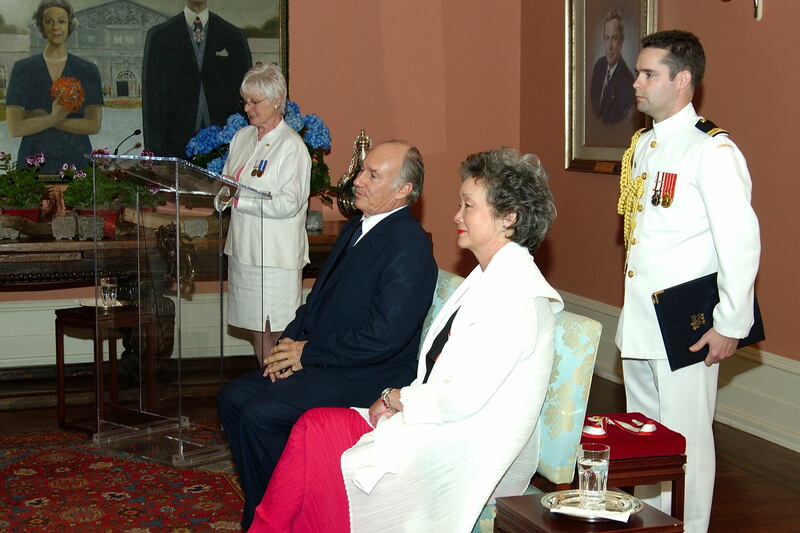 Honorary Companion of the Order of Canada by Her Excellency the Right Honorable Adrienne Clarkson, Governor General of Canada (2005-06-06). 22. Grand Cross of the Military Order of Christ, Portugal (2005). 23. 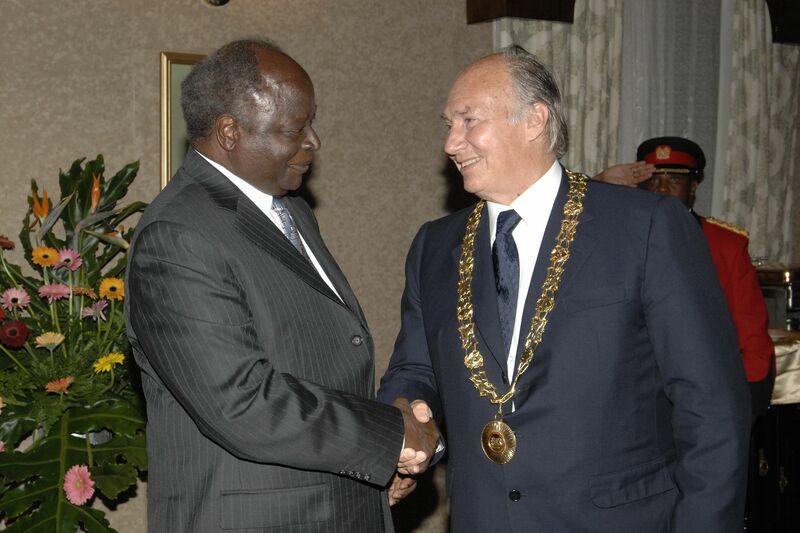 Chief of the Order of the Golden Heart, by President Mwai Kibaki of Kenya (2007-08-13). 24. Grand Cross of the National Order of Mali (2008-04-24). 25. Commander of the Order of Arts and Letters (2010-11-10). 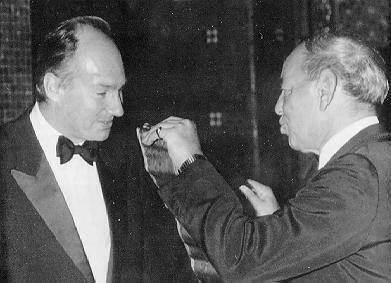 His Highness the Aga Khan has also received numerous awards and prizes from various professional organizations in recognition of his work in architecture and the conservation of historic buildings. 1. Honorary Colonel of the 6th Lancers, Pakistan Army, Pakistan (1970-02). 2. Honorary Membership, Pakistan Medical Association, Sind, Pakistan (1981-02-15). 3. The Gold Mercury “AD PERSONAM” Award (1982-04-07). 4. Institute Honor of the American Institute of Architects, USA (1984). 5. Thomas Jefferson Memorial Foundation Award in Architecture, University of Virginia, USA (1984-04-13). Honored as Patron of Architecture becoming the 19th award recipient. 6. Honorary Fellowship of the College of Physicians and Surgeons Pakistan (CPSP), Pakistan (1985). 7. Gold Medal of the Consojo Superior de Colegios de Arquitectos, Spain (1987). Presented by King Juan Carlos of Spain at a ceremony at the Royal Palace in the presence of members of the Spanish Architectural Association. 8. Honorary Fellowship, Royal Institute of British Architects, United Kingdom (1991). 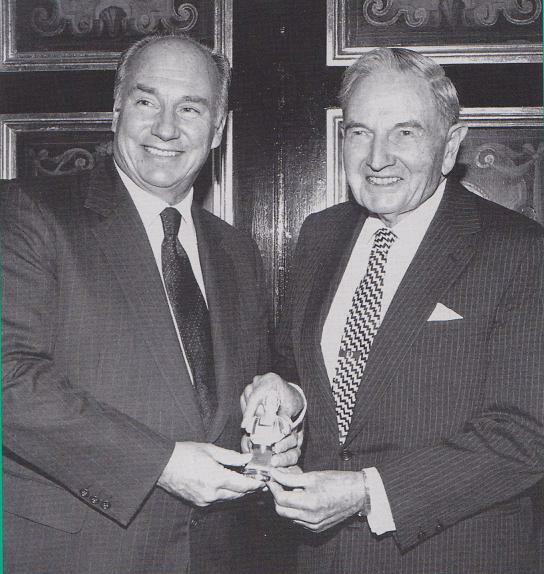 October 25, 1996, New York City: His Highness the Aga Khan being presented with the World Monuments Fund's prestigious Hadrian Award by David Rockefeler, a previous recipient of the Award. 11. Hadrian Award, World Monuments Fund, USA (1996-10-25). 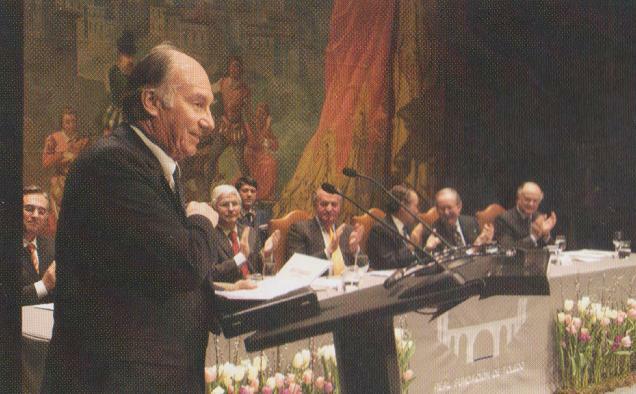 The Aga Khan said that the World Monuments Fund’s decision to honour him with the Hadrian Award “draws attention to, and support for, the endeavors of the Islamic world to revivify its own cultural heritage.” He reminded the gathering that Islamic architecture as an art had not escaped the wear of time. The goal of the Aga Khan Trust for Culture was to stop this decay and to impact the entire rich and diverse Islamic architectural world. October 25, 1996. 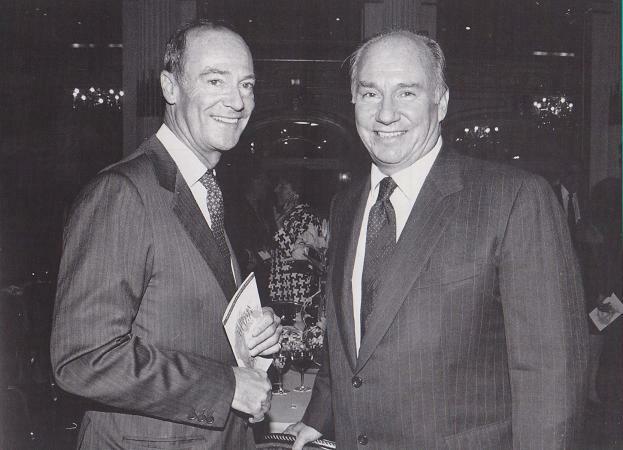 His Highness the Aga Khan pictured with his younger brother, Prince Amyn, at the Hadrian Award Ceremony. 12. Archon Award, International Nursing Honour Society, Sigma Theta Tau International, Sweden (2001-06-07). 13. Insignia of Honour, International Union of Architects, France (2001). 14. State Award for Peace and Progress, Kazakhstan (2002). 15. Vincent Scully Prize, Smithsonian Institution’s National Building Museum, Washington, USA (2005-01-26). 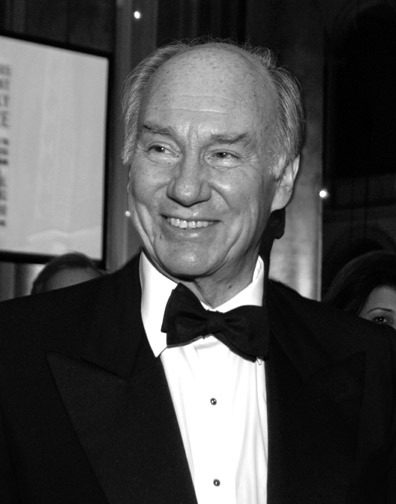 January 26, 2005: His Highness the Aga Khan pictured at the Vincent Scully Award Ceremony at the National Building Museum in Washington D.C. © Photo Credit: Vivian Ronay, Washington D.C.
16. 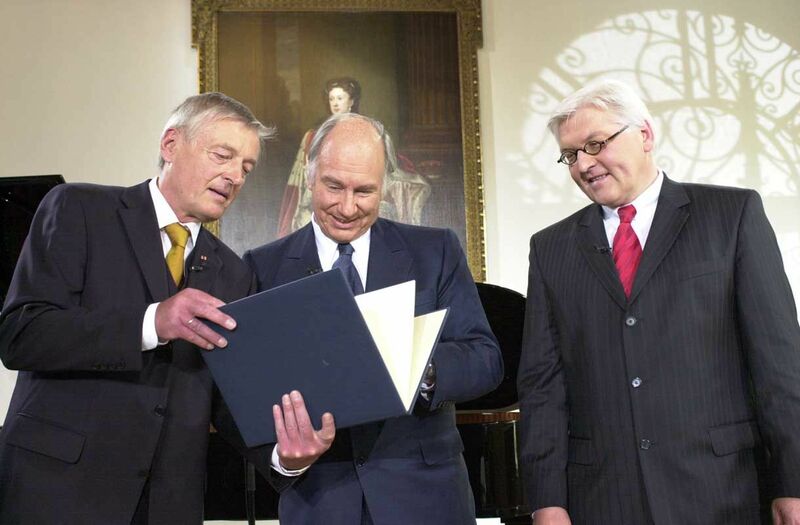 Die Quadriga Award, Germany (2005-10-03). 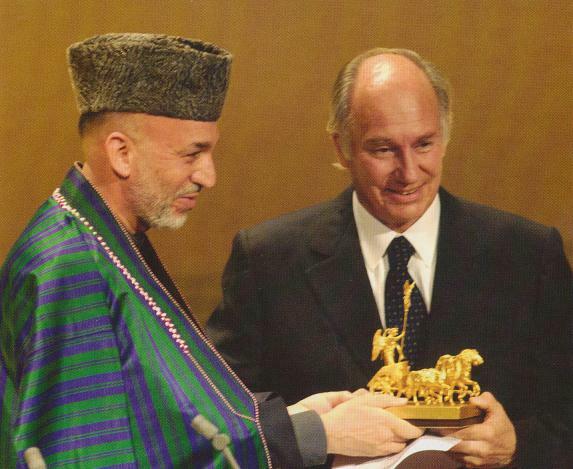 October 3, 2005: His Highness the Aga Khan being presented with the Die Quadriga Prize, the United We Care Award, by President Hamid Karzai of Afghanistan. 17. Andrew Carnegie Medal of Philanthropy, Edinburgh, Scotland, UK (2005-10-04). At the Debating Chamber of Scotland’s Parliament at Holyrood, Edinburgh, Mary Robinson, former President of Ireland and former UN High Commissioner for Human Rights, and now Director of the Ethical Globalisation Initiative, presented the Medal to the Aga Khan. “The Aga Khan’s values of pluralism, multiculturalism, and strengthening of civil society, are those we must all emulate,” said Dr. Robinson. 18. Royal Toledo Foundation (Real Fundación de Toledo) Award, Toledo, Spain (2006-03-02). His Majesty Juan Carlos I, Patron of the Foundation made the formal presentation of the Toledo Award for the Aga Khan’s work in the preservation and revitalisation of historic cities in the Islamic world. 19. Tolerance Prize of the Evangelical Academy of Tutzing, Germany (2006-05-20). “We honour an exceptional man, we honour a huge friend of mankind, we honour a courageous visionary, and we honour a person building bridges between societies,” said His Excellency Dr Frank-Walter Steinmeier, Germany’s Minister for Foreign Affairs, during his laudatory remarks. 20. Peter O’Sullevan Award, UK (2006-11-21). 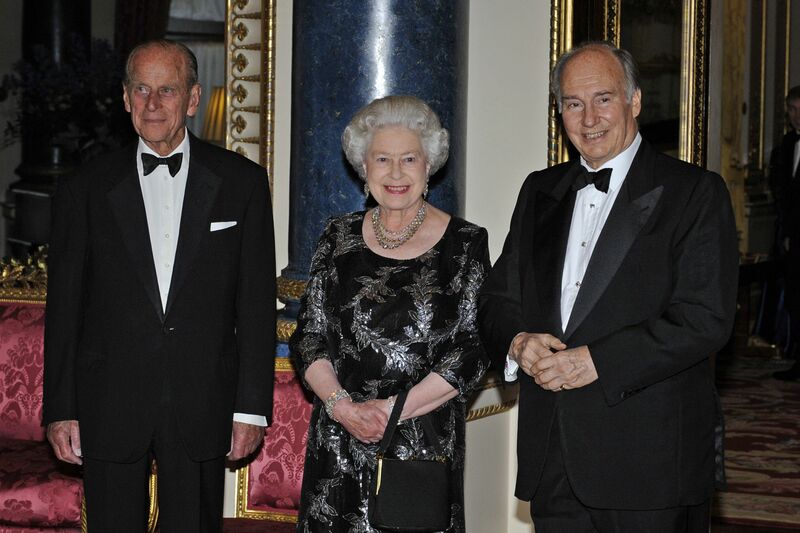 The Aga Khan joined a select group of recipients as the winner of the 10th annual award at The Savoy in London. This annual event is the principal fund-raising initiative of The Sir Peter O’Sullevan Charitable Trust, which was set up in 1999 following the success of the first two Annual Awards. The perpetual bronze in the shape of Sir Peter’s own racing binoculars, sculpted by Janie Beardsall, is awarded for a lifetime’s contribution to the sport. 21. Associate Foreign Member, Académie des Beaux-Arts, France (2008). 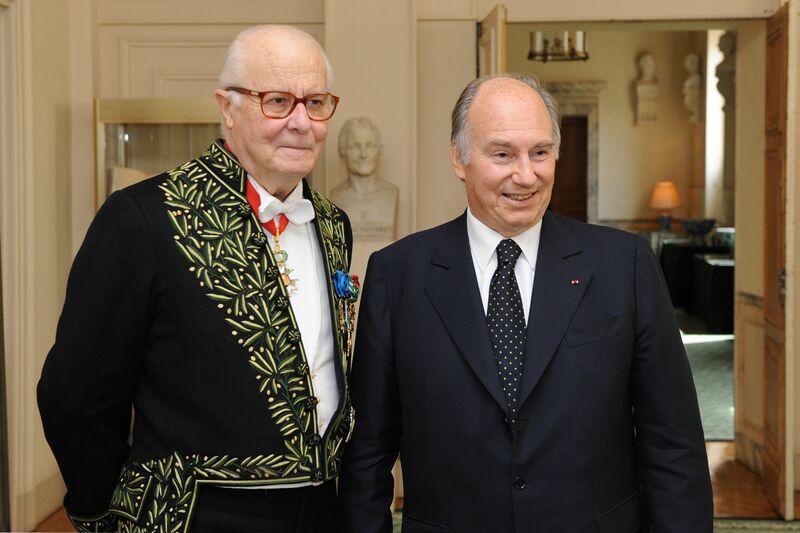 His Highness the Aga Khan was installed as an Associate Foreign Member of France’s Académie des Beaux Arts. The Aga Khan replaced the renowned Japanese architect, Kenzo Tange who passed away in 2005. The official ceremony, held under the dome of the Institut de France in Paris, was attended by the Académie’s President, Yves Millecamps and its Perpetual Secretary, Arnaud d’Hauterives, as well as other members of the Académie and representatives of civil society and the diplomatic corps. The French President, Nicolas Sarkozy, was represented by his top aide on cultural affairs, Mrs. Isabelle Mariani. 22. Honoured Educator of the Republic of Kazakhstan (2008). 23. Personality of the Year 2008, International Association for Spiritual Renewal “Ruhaniat”, Kyrgyzstan (2009). 24. Foreign Member of the Sciences Academy of Lisbon, Portugal (2009). 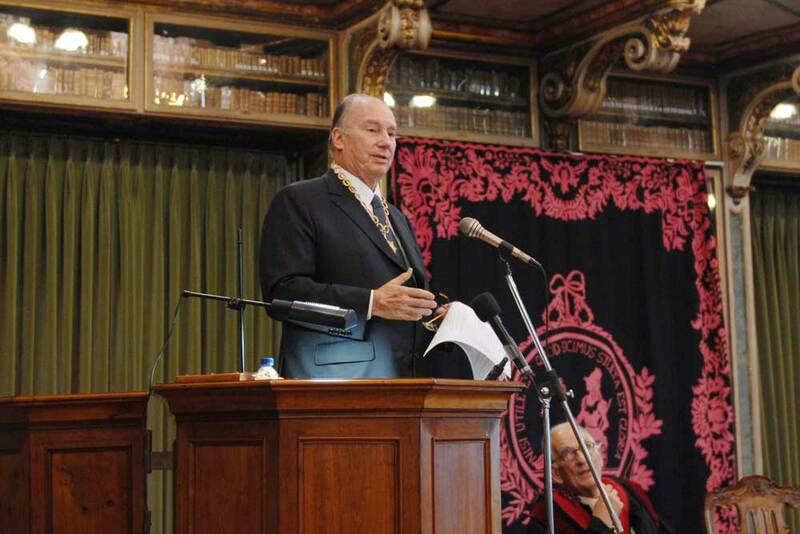 The Aga Khan was invested as Foreign Member, Class of Humanities, by Lisbon’s prestigious Academy of Sciences. The Academy, founded in 1779 by Queen Mary I of Portugal, is committed to promoting scientific research and stimulating the enhancement of thought, literature, language and other forms of national culture. Other Foreign Correspondent Members include Nelson Mandela, former President of South Africa, Jose Sarney, former President of Brazil, and some 70 other prominent scholars, writers and diplomats from over 20 countries. 25. Grand Mécène and Grand Donateur (Grand Patron and Grand Donor) of the Ministry of Culture, France (2009-05-28). France’s Minister for Culture, Christine Albanel, honoured the Aga Khan in Paris with the titles of Grand Patron (Grand Mécène) and Grand Donor (Grand Donateur) in recognition of his outstanding contribution to cultural development in France through the Foundation for the Preservation and Development of the Chantilly Domain (Fondation pour la sauvegarde et le développement du domaine de Chantilly) as well as the numerous cultural programmes implemented by the cultural agencies of the Aga Khan Development Network throughout the world. 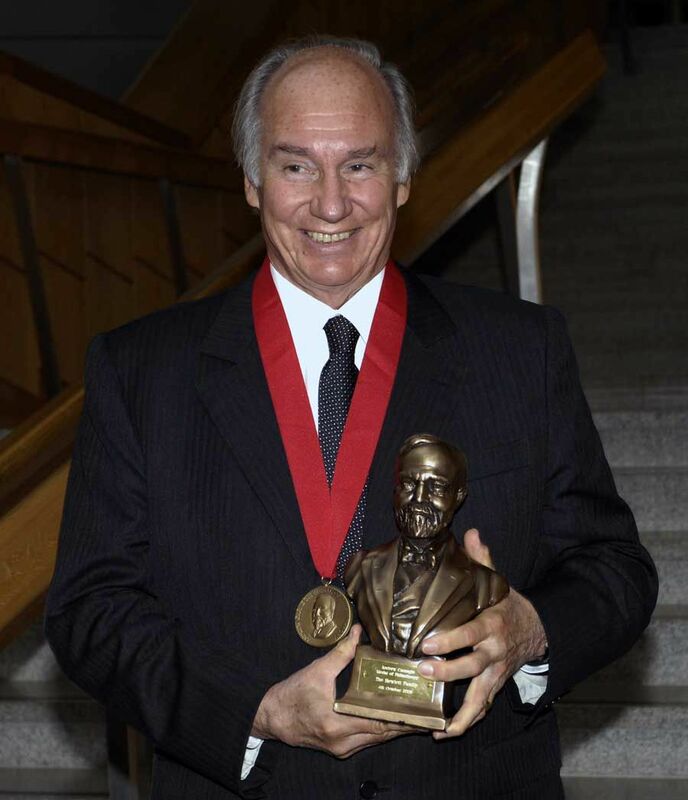 Editor’s note: Now continue to read Azeem Maherali’s Part II – Worldwide Honours For Prince Karim Aga Khan Underline Impact of Ismaili Imamat’s Contribution to Humanity. It includes Honorary degrees, Key of the City awards, Honorary Citizenship and Diplomacy with photos. 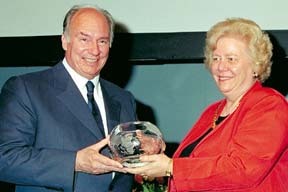 Also click H. H. The Aga Khan IV for more links to articles, photos and interviews. About the author: Azeem Maherali, originally of Ottawa, Canada, is currently based in Atlanta, Georgia. He has contributed a similar reading on Sir Sultan Muhammad Shah, Aga Khan III, which you can read on this website (see link below). Readers are invited to notify us of any errors or omissions which they come across in these readings. Please submit your feedback in the REPLY form below or send an email to simerg@aol.com, Subject: Honours conferred on 48th and 49th Ismaili Imams. Please visit Simerg’s Home page for links to articles posted most recently. For links to articles posted on this Web site since its launch in March 2009, please click What’s New. Sign-up for blog subscription at top right of this page. This was a great reading for me. It provided me with rich information about Mawlana Hazar Imam’s activities and honours worldwide. We love you sincerely, we all honor you .. and we rely on your support in Syria. Infinite salutes to my Mawla…. May Mawla bless the compiler and the editor! 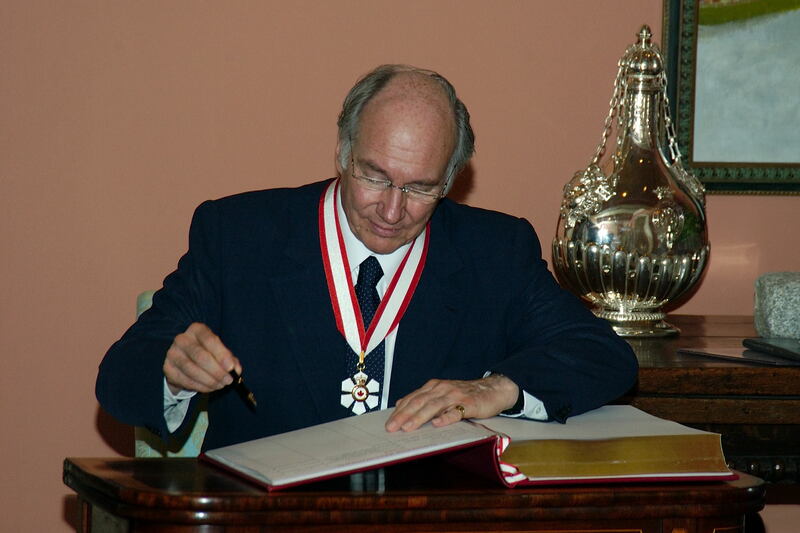 Thank you for compiling all this interesting information about His Highness the Aga Khan. I find this website fascinating. I do wish to point out what I believe is an error in the caption to the photo of His Highness at Harvard. The blazer he is wearing bears the crest of La Rosey, the private secondary school he attended in Switzerland before going to Harvard. Our Present Living Imam, Humanitarian of this Century ! Proud of Shah Karim’s vision, I have witnessed true positive impact of Imam’s programs in the mountains of Pakistan. Surah Mo’minun, 111, Holy Qur’an: “I have rewarded them this day for their patience and constancy: they are indeed the ones that have achieved Bliss…” I like the list of awards and pictures. Thank you. 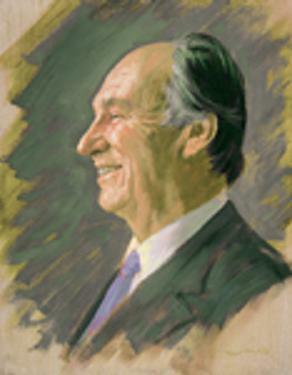 Mawlana Hazar Imam. Thank you for such inspirational and amazing work by you. Salagreh Mubarak. Lots of love to the the present Imam of the Time, our murshid Shah Karim Aga Khan. Mawla bapa, you are my life and my love. Thank you to those who have made this presentation. This website is superb which needs mega appreciation. I salute His Highness the Aga Khan for excellence in care of humanity – excellence in providing quality educations; excellence in developing professional to meet the challenges of developing nation like Pakistan. The credit goes to The Prince Karim Aga Khan. Magnificant, there is no limit to the beauty of our beloved Hazar Imam. Thank you very much for such a great information. May Mawlana Hazar Imam bless all of us. Thank you for the excellent work of putting pictures and information together. May Mawla Bless the team for sharing the article with us. May Mawla bless the team for putting the pictures and the information together, and for sharing the article with us. I would like to express my thanks for this excellent work you have done in Part-1, Worldwide Honors For Price Karim Agakhan. I hope further that this kind of knowledge will be delivered with love and affection. May Hazar Imam give you rewards. A wonderfull combination of photos and details. Impressive work. Thank you. 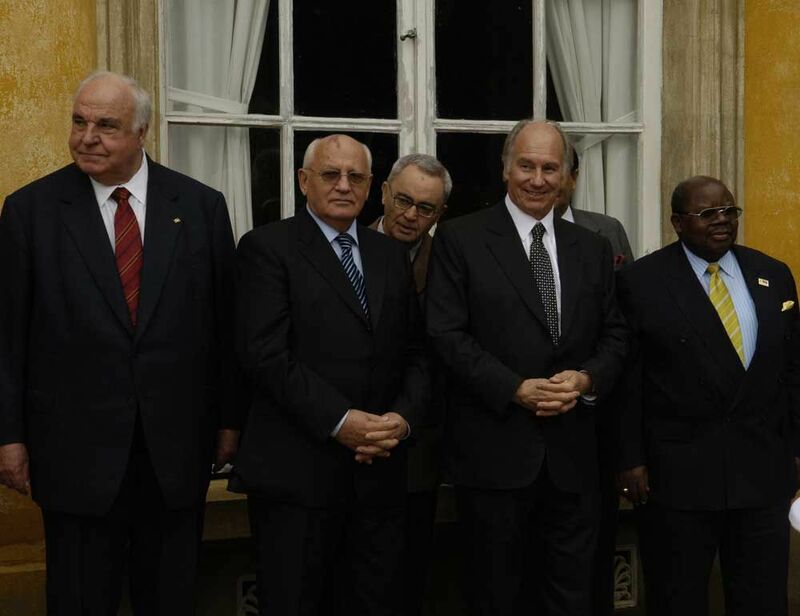 We are thankful for the powerful work for humanity that His Highness the Aga Khan has done as well as for guiding the Ismaili Jamat around the globe. We give shukar to Allah for His Grace and Bounty – Alhamdullilah and Subhan’Allah. Remarkable work. Mubarak Badi to you. I am confident that this work must have felt you with special joy. An excellent insight and skill in research shown by the author for readers to find crucial facts about our Living Imam, the 49th, that we are gifted with to guide us and have prestige as a significant Leader known in the whole world. I thank the team/admin of the site for this work. May Mawla bless him/her always. Let us take pride in this, and share the pride. Be blessed. This is a wonderful compilation. Thank you for sharing with us . Great job done….keep it up. May you continue to flourish and spread the illuminating rays of knowledge through all your channels. Excellent compilation by Azeem Maherali. We (Ismailis) are blessed to have leader like Mawlana Hazar Imam. Thank you for such inspirational and amazing work by you. Salagreh Mubarak. May our beloved Imam always guide us! Bravo to Simerg! Zeenat Charania forwarded me this page and I really enjoyed reading it. I saw the contents of the Web site and I was touched, moved and overwhelmed. Thanks to Zeenat. And may the blessings, love and grace of Mawla be with you in everything you do everyday. Amen. 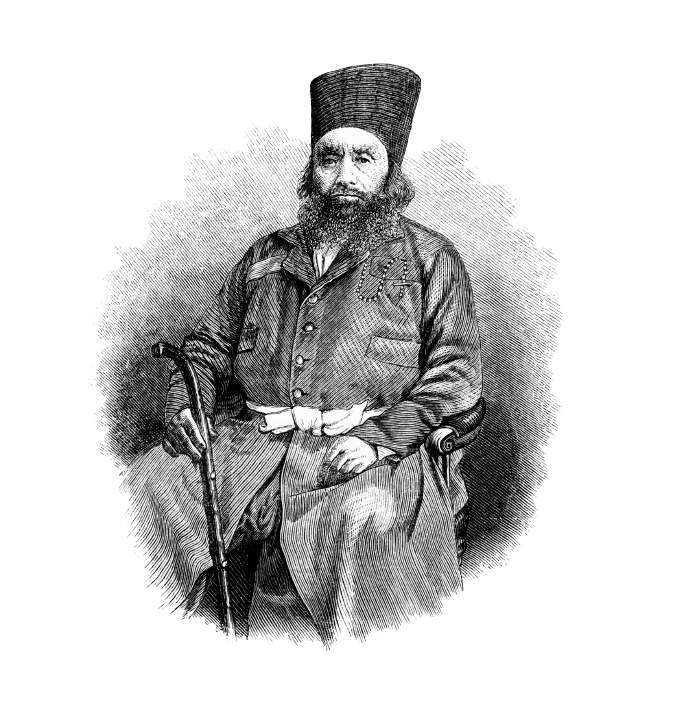 Mansoor-Ali Ebrahim. Awesome compilation…unbiasly speaking, I can’t think of any other person that has received so many honors and awards for such difficult work. Al-Hamdulillah. Thanks for the excellent work of putting all together. We need more like you in this world. Excellent collections and thanks to you for sharing those moments with us; we are truly blessed. Information is important to increase knowledge. We pray the Almighty to accept all your sevas and may Allah grant the benefit of this seva to you and to your family in plenty. May Allah bless you with strength and courage in that continuum. Excellent!!! 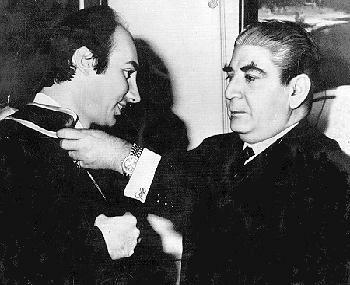 It is a matter of great pride to see Mawlana Hazar Imam receive so many great awards. Our youth need to use this as inspiration. Excellent, a wonderful job done. Keep it up. Many thanks for sharing the wonderful pictures of Hazar Imam. In fact I have ever never seen such pictures. These pictures really give us spiritual pleasures. May Allah graciously bestow upon you His blessings and strength to carry on this job. Best Regards. This reading was very useful to me and I am sure others have benefitted from it too. Thank you for publishing about Mawlana Hazir Imam!!!!!! I like the list of awards and pictures. I have never seen these amazing pictures before. Thank you for sharing this website especially for us who are in Tajikistan and thirsty to see any pictures of Hazar Imam and any information about him. Kind regards. Mawlana Hazar Imam is the meaning of our life and the strength of our soul! A constructive intellectual contribution to the history. Well done. Please continue with the good work. Ya Ali Madad Malik:Thank you for publishing that very special photo of the Nurani family and thanks to Nurin for editing the blemishes. I do like the list of awards and attached pictures. Wow!! An excellent insight and skill in research shown by the author for readers to find crucial facts about our Living Imam, the 49th, that we are gifted with to guide us and have prestige as a significant Leader known in the whole world. Let us take pride in this. Excellent, I loved it very much! Mawla bless all those who have contributed for making such a beautiful and comprehensive information. Thanks for this post about our beloved Mawlana Hazar Imam!!! I just went through this site and after viewing its only homepage I really enjoyed the Photos of our beloved Movla sarkar-e-do jahan. I thank the team/admin of the site for this work. May movla bless him/her always…so nice sharing. Thank you for all the knowledge passed on to us. On this special occasion my personal Salgirah Mubarak to you your family, your team and all the readers of Simerg.